As my colleague, Scott Miller, posted here on April 9, 2014 the Superior Court in Quebec ruled that the Quebec language watchdog, the Office Québécois de la Langue Française (OQFL), attempts to force retailer to change their signage to include French was contrary to the existing language laws of Quebec. All of us here at MBM were confident that, with a newly elected federalist party in Québec City, the issue would end with this decision. However, today it is being reported that the Government of Quebec is appealing the April 9th decision. As we noted earlier, s.58 of the Charter of the French Language (French Charter), reads, “public signs and poster and commercial advertising must be in French” (translation). However, the French Charter Regulation (specifically sections 7(4) and 25(4)) permit English only packaging and signage for a “recognized trade-mark within the meaning of the Trade-marks Act, unless a French version has been registered”. Jurisprudence on these sections, however, has differentiated between trade-marks and trade-names, where non-french trade-names do not benefit from the exemption. It has been accepted that the Federal Trade-Marks Act 'recognizes' both common law (unregistered) and registered trade-marks. Therefore, even unregistered trade-marks will benefit from the exemption in the French Charter Regulations. The filing of this Appeal creates more uncertainty, for the short term, whether the OQFL will recognize unregistered trademarks or argue such marks are actually trade names not subject to the English use exception. As a precautionary measure, it may still be advisable to file for English trademarks to avoid the OQFL. 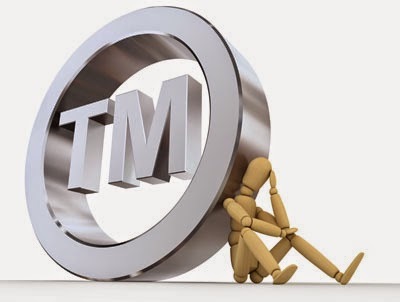 If threatened about the legitimacy of whether an English word is a recognized trademark, it is answerable by noting that the English word is the subject of a pending trademark application. I would prognosticate that this matter may head all the way to the Supreme Court, but that would be just tempting fate.